The news today has been full of coverage of Ian Paisley's political career - he steps down tonight as Leader of the Democratic Unionist Party. I was invited to the big party but wasnt able to go. However, I suspect that he'll be around for a good while yet. Let this very ornate old street sign from Edinburgh's Royal Mile be a warning to anyone that thinks he's gone for good! Paisley Close: Heave awa' chaps, I'm no dead yet! I found this great quote today, which I know will appeal to many of you! "The venerable dead are waiting in my library to entertain me and relieve me from the nonsense of surviving mortals." Robert Burns (1759 - 1796) is of course Scotland's National Bard. He was born at Alloway, Ayrshire, the son of tenant farmer William Burns and Anges Broun. Next year is the 250th anniversary of his birth, and to mark the anniversary the Scottish Executive has been working on a programme of events branded as Homecoming Scotland. Burns has some Covenanter connections, hardly surprising for an Ayrshire ploughboy in the 1700s. If thou'rt slave, indulge thy sneers. 1) It's said that Burns named his favourite horse "Jenny Geddes" after the famous Covenanter who threw her stool at the Dean in St Giles Cathedral in 1637. Genealogy is often a dubious basis for history, it's hard to prove and a lot of it is made up. So take that as a health warning for the rest of this post. "...In the course of their conversation Ramsay relates how Burns attributed his inclination at times to lean to the Jacobite side to the fact that some of his paternal ancestors had suffered for siding with the Pretender's party in their ill fated risings. On the other hand, his feelings, he said, led him to take the side of the Covenanters, because that one of his maternal ancestors had been slain on Ayrsmoss by the persecutors of the men of the Covenant. Now, who could this maternal ancestor of Burns' be but a son of John Brown of Priesthill? Bear in mind that the maiden name of the mother of Burns was Agnes Brown, who was married to William Burness on 15th December 1757, and that Robert Burns, their son, was born in 1759, only seventy four years after the martyrdom of John Brown of Priesthill. We know that at the time of his murder John Brown had a son, then in the mother's arms, and that she was about to be delivered of another child, who, for anything we know, may also have been a son. Burns, therefore, must have been a descendant and not at all a remote one of the martyr of Priesthill. This is the more certain as, among all the other Covenanters who were put to death on or near to Ayrsmoss (July 1680), there is not another of the name of Brown. None of the nine who fell with Cameron in the fierce and desperate fight on Ayrsmoss bore that name. The martyr of Wellwood was named William Adam. The martyr shot by the wayside when sick and resting a little way out of the then village of Muirkirk, was named Smith. Who, then, could this maternal ancestor of Robert Burns be but a descendant of John Brown of Priesthill?..." 6) Burns' world-famous Selkirk Grace was originally known as the Galloway Grace or the Covenanters' Grace. Burns is claimed to be many things - Williamite, Jacobite, champion of the working class, proto-Marxist, philander, genius - so it's no surprise that 19th century Scottish historians should link him to the Covenanters. The sources listed above deserve further examination, as there could be some substance in them. A solid Burns/Covenanter connection could create an opportunity for people in Scotland to look more closely at the story of the Covenanters, while the tourists are flooding into Edinburgh snapping up the tartan nicknacks for The Gathering 2009! 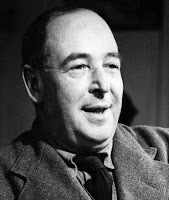 With the Disney version of “The Lion the Witch and the Wardrobe” packing cinemas worldwide, and having already taken over $225 million dollars since its release in December, interest in CS Lewis has never been greater. Steven Moore’s article in the December edition of “The Ulster Scot” inspired this short piece about the role that Ulster-Scots culture played in Lewis’s life and his writings. Over the following 36 years of his life, references to Ulster-Scots culture and language would continue to appear in his writings. Lewis’s three science fiction novels – Out of the Silent Planet (1938), Perelandra (1943) and That Hideous Strength (1945) - collectively named The Cosmic Trilogy - provide more of the Christian symbolism that Narnia is so famous for, and further examples of Ulster-Scots influence. One of the main characters, Mr MacPhee, is clearly an Ulster-Scot and was probably based on Lewis’s tutor WT Kirkpatrick. 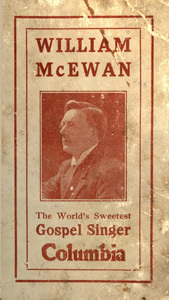 In That Hideous Strength MacPhee is described as an Ulsterman and uses many Ulster-Scots words like “forbye”, “skeery” and “daffin” - as well as expressions like “…that’s not a question to be answered by Aye or No…”, and “…my uncle, Dr Duncanson, whose name may be familiar to you – he was Moderator of the General Assembly over the water, in Scotland…”. Some of the descriptions of him include: “…MacPhee, who had been carefully shutting up the snuff box, suddenly looked up with a hundred Covenanters in his eyes…”. Lewis dedicated That Hideous Strength to another Ulster Presbyterian, Janie MacNeill, who he described as a “…true, sometimes a grim, daughter of the Kirk…” and “…the broadest-spoken maiden lady in the Six Counties…”. Lewis’s later writings about his early life reveal strong Ulster-Scots influences. Three particular people are recognised to have had a major impact on him, and in Surprised by Joy (1955) he refers to them all. His nurse in Belfast, Lizzie Endicott, may well have been of Ulster-Scots stock, as he said this about her: “…through Lizzie we struck our roots into the peasantry of County Down…” - it was Lizzie who told him the ancient tales and legends which gave him such inspiration. Then there was the spiritual insight and academic influence of his governess Annie Harper, of whom he wrote “… she was a Presbyterian; and a longish lecture which she once interpolated between sums and copies is the first thing I can remember that brought the other world to my mind with any sense of reality…”. Ultimately, his strongest Ulster-Scots influence was his tutor during his early years in England, WT Kirkpatrick. As you can see from just these few examples, Ulster’s most renowned author recognized Ulster-Scots speech and cultural influence in his own life. So as the cinema popcorn runs low, and as you finish the final chapter of The Chronicles of Narnia you were given as a Christmas present, why not wait for the DVD release by reading The Cosmic Trilogy – that way you’ll be able to enjoy CS Lewis and discover his Ulster-Scots influences for yourself! Northern Ireland nearly qualified for Euro 2008. It went down to the final match against Spain to determine whether we'd qualify for our first major tournament finals since 1986. We didn't. Scotland nearly qualified too, but were beaten in their last match. Chelsea nearly won the European Champions League Final for the first time in their history. The score was level after extra time, and halfway through the penalty shoot out it actually looked like we'd win. Up stepped John Terry... and missed. ManUre walked away with the trophy. Chelsea nearly won the Premiership, like Northern Ireland it went right down to the last game. We lost. ManUre are the champions again. Chelsea nearly won the League Cup, but were beaten by Spurs in a real shock of a final. Rangers nearly won the UEFA Cup. Yet again, it went right down to the last match where they were out-run and outclassed by Zenit St Petersburg. The last time Rangers were in a European final was the year I was born, 1972. It'll be another 36 years before they get to another one! Rangers nearly won the Scottish Premier League. Just like Chelsea, it went right down to the last match where they were beaten by Aberdeen, handing the League to Celtic. So, had the results of just seven matches been victories rather then defeats, this could have been officially The Greatest Football Season of All Time. However, in the end it was mostly a great anti-climax, a huge disappointment. However, the great thing about football is that all of the clubs start again from scratch in August. Everybody gets a fresh start. Somewhere, in all of last season's effort, striving and ultimate failure - and in the knowledge of a certain fresh start just ahead - is a deep spiritual truth. Took this picture yesterday at the old "Round Hole" Covenanters conventicle site (opposite 210 Old Ballymoney Road, Laymore, Ballymena). The kye were oot haein a conventicle o their ain, but with the hole filled with water it looked mair like New Testament adult baptism tae me. Long before Easyjet and cheap flights to the continent, the few family holidays we ever had were either in Scotland or the Isle of Man. When I was about 14, my parents took us on holiday to Castle Douglas in Galloway. As we drove from the ferry terminal at Stranraer, we diverted down to Wigtown where they took all five of us weans to see the Martyrs Stake - the monument that marks the place where Margaret Wilson (aged just 18) and Margaret MacLachlan refused to denounce their Presbyterian faith. In May 1685 they were drowned in the rising tide of the Solway Firth by the troops of King James II. Our family isn’t even Presbyterian (we were reared around gospel halls and mission halls), nevertheless the stories of the Covenanters and of their faith, courage and martyrdom were often told in our house, passed on by our parents. Many Ulster-Scots folk have the same experience, with old Victorian novels like “Tales of The Covenanters” in thousands of homes across Ulster. Folk often say that years ago every Ulster-Scots home had two books – a Bible and a copy of Burns. For many people I’ve talked to over the years, there was a Covenanter book on the shelf too. This year, the Ulster-Scots Agency ‘s theme story is “The Covenanters in Ulster”. Like so much of our heritage, the Ulster chapter has been almost forgotten, left out of the history books, reducing it to a Scotland-only story. Yet nothing could be further from the truth! From 1638 to 1688, through the “50 Years Struggle” which caused the Covenanters to fight against the state and the monarchy of their day, there is a continuous Ulster thread. Ulster was the Covenanters’ nearest refuge in times of trouble. For example, the four ministers who sailed for America on “Eagle Wing” in 1636, came home to become instrumental in the Covenanting cause. Over later years, men like Rev Andrew McCormick of Magherally (near Banbridge), Rev John Crookshanks of Raphoe and Rev Michael Bruce of Killinchy were expelled from their pulpits by the authorities. And rather than succumb to the persecution, all three became even more determined – McCormick and Crookshanks died at the Battle of Rullion Green outside Edinburgh in November 1666 (they are the only men named on the monument there) and Bruce preached at large open air services known as “conventicles”. Literally hundreds of monuments across Scotland record the sacrifice and heroism of the Covenanters. The most famous Ulster link of all is Rev Alexander Peden, “The Prophet of the Covenant”, who was a regular visitor to County Antrim. There is a monument to him at Glenwherry, near Slemish. During the period known as “The Killing Times”, others like Rev David Houston and Rev James Renwick spent much of their time in Ulster, avoiding capture by the Scottish authorities, and encouraging the people here to remain strong in the face of state oppression. Four brothers of Margaret Wilson, the Wigtown Martyr, are said to have fled to Ulster for refuge. Every July, hundreds of thousands of people in Scotland and Ulster celebrate “The Glorious Revolution” and King William III’s victory over King James II at the Boyne - an event that is usually stereotyped as nothing more than “Protestant defeats Catholic”. But how many people realize that the Revolution brought an end to 50 years of anti-Presbyterian persecution by three successive Kings - which had seen an estimated 18,000 people either killed or deported for their faith? In a recent BBC Scotland viewer poll, The Covenanters was voted as one of the Top Ten stories in Scotland’s history; the (some would say) over-hyped “Bonnie Prince Charlie” didn’t make it in at all! Clearly the people of modern, secular Scotland still understand the importance of the Covenanters – it is time for us, on this side of the water, to begin to explain and to understand the Ulster dimension. This year we’re serialising “The Covenanters in Ulster” in our own monthly newspaper “The Ulster Scot”, and are particularly delighted to be working very closely with today’s Covenanters, the Reformed Presbyterian Church, in a series of events and initiatives. We’ll be producing a “Covenanters in Ulster” heritage trail publication, to be distributed to every Presbyterian church in both Northern Ireland and the Republic of Ireland. As you know, the skeptics and opponents have dismissed Ulster-Scots as a recent invention, an artificial counterbalance to Irish culture and identity. I would challenge anyone to deny the deep integrity of “The Covenanters in Ulster”. This could be the most important story of all in Ulster-Scots history. If you have any stories, local folklore, or information about Covenanters links with churches in your area, please get in touch with me. We’d love to hear from you, and perhaps include your information in our projects during this year. Sunday 1st June at 3pm. Imagine you're the minister of a new church plant in north Antrim. It's 1657 and things have been going reasonably well - there's no King to interfere in the running of the church anymore, local congregations are full and so a new church is started. You're only in the job for three years when a new King is crowned and the persecution starts once again. You get two warnings to "toe the line" and preach only what the government approves. Of course you refuse. Then one Sunday a number of Royal troops knock on the door - they have arrived to arrest you. "...Presbyterians manifested disaffection with the restoration in other ways as well. Some distributed books reminding readers of Charles’s avowal of the Solemn League and Covenant in Scotland in June 1650, while others refused to let conformist clergymen baptize their children. At Dromore Presbyterians ‘opposed and abused’ a conforming minister. At Ballyrashane in 1661, after the Scottish Presbyterian minister Robert Hogsyard had twice ignored citations from ecclesiastical officials to accept Episcopal ordination or resign, a troop of dragoons surrounded his church, alarming the congregation, but Hogsyard persuaded the officer to allow him to finish his sermon and had the congregation make room in the pews for the dragoons. The sermon done, Hogsyard descended from the pulpit, shut its door, and struck it with his Bible three times, exclaiming ‘I arrest this pulpit in the name of the Lord Jesus Christ as King and Head of his Church, that neither Episcopalian, Erastian nor indulged Presbyterian should ever enter it, or address a congregation in this church until the top stone of this building is as low as the foundation’..."
Hogsherd was sent to Scotland (hardly a punishment at all!) in November 1663 - some records say he escaped there with Crookshank of Raphoe, McCormick of Magherally and some other Ulster ministers. Hogsherd never returned to Ulster, but died in Scotland in 1673. Let me be clear - I'm not referring to any group of people as "Protestant Trash" in the way that the term "white trash" is used in America to demean poor and working class white people. I'm referring to what is offered to poor and working class Protestants as "culture" - and it is trash. Cheap, valueless, decadent, exploitative, hedonistic - whatever you want to describe it as, it's trash. The people are being fed sweet-tasting candy floss but, culturally, are starving to death. Paramilitarism and the Troubles have taken their toll on the urban Protestant working class in Northern Ireland. Educational standards in these communities are rock bottom. Hardly anyone in the Shankill Road goes to university any more. But this is a wider malaise than just the red brick streets of our cities and larger towns - it affects Protestants right across the social spectrum. No culture or trash culture - it's not much of a choice is it? As mainstream society gets dumbed down more and more each year, it even affects our churches, it affects our Sunday Schools. Children are taught cuddly wee Bible stories that make them happy, far removed from any sense of the might and authority of God. David and Goliath? A wee boy with a lucky shot? Sure didn't he take five stones, so he mustn't have been that sure God was going to help him. How many kids know that the real reason he took five stones was because Goliath had four brothers and he was going to get them too?! Scripture is approached like a book of bedtime stories. As the people's cultural (and theological) horizons are lowered, it becomes more and more difficult to raise them back up. With the whole deep complex well of identity now reduced to little more than wearing the replica shirt of certain football teams, how do we change this downward trend? Do we continue to feed people the same lightweight rubbish that they enjoy, but hope that there'll be some magic solution that will suddenly enrich and transform them? Someone needs to start to turn the tide, to wean them off the stuff that's killing them. This isn't the answer, but maybe it's a start. Beginning next Monday (26th), the News Letter are publishing a week-long series called "Perspectives on the Covenanters". It feeds into the work I'm doing this year on "The Covenanters in Ulster" with William and Jack as well as Rev Harry Coulter and Rev Robert McCollum. Check out the growing Covenanter blog for yourself (the link is on the left). I'm glad that the Editor, Darwin Templeton, has opened the pages of his paper to help spread the Covenanter story. There will be articles from me, Harry, Callum Webster of the Christian Institute, Grand Orange Lodge of Scotland, the Grand Orange Lodge of Ireland and the Scottish Covenanters Memorial Association - all leading up to a special Psalm singing event in Carrickfergus the following Saturday evening entitled Psalms Sung in Persecution Times, and an open air Conventicle at Carrickfergus Castle on the Sunday afternoon. We're advertising the events heavily in the local press around Carrickfergus, Larne and Newtownabbey for the next 2 weeks, so even if nobody turns up, at least we're starting down the long hard road of getting positive, engaging and deep cultural messages into the public domain. Beyond Beckham, beyond Healy, beyond Rangers. This is just a small effort and I hope it captures the interest of some of the News Letter's readership. To use a scriptural analogy, we can't keep feeding people on milk - they're going to have to move onto meat to stand any chance of growing. Thanks to Jack for this one! Better not mention the name of the church (its best to keep these things quiet), but in its constitution it stated that the church met for "pubic worship" rather than "public worship"! Thanks to Jennifer in the Presbyterian Historical Society library for this one. I kid you not, in a Christian mag advert, "worship committee" was misspelled as "whorship committee". I see the Irish News have this morning printed a hatchet job and complete fabrication about the Ulster-Scots Agency and our funding assistance scheme. Sure, why let the truth get in the way of a good cover story? UPDATE: When a newspaper makes this level of allegation they must be either very confident in their sources, or veeeery foolish. For the Irish News, it is the latter. This is a personal blog, not an Agency communications outlet, so I will leave specific comment to the Agency press release which was issued earlier today. Let's see if the Irish News has the courage to print an apology tomorrow - after all, this is only the latest in a long line of anti-Ulster-Scots smears they have printed. 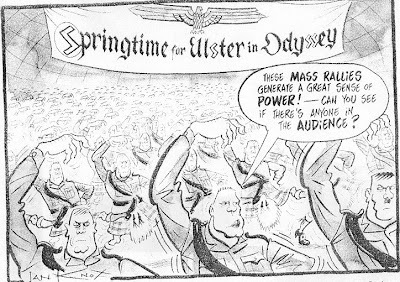 Here's another one, printed on 28th May 2004, depicting the Ulster-Scots themed stage show "On Eagles Wing" as a Nazi Nuremburg rally. 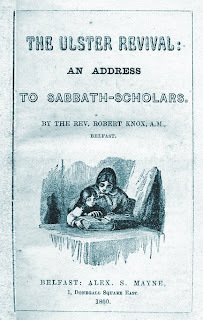 Rev David Houston is perhaps the single most important of the Ulster Covenanter ministers. Jack just sent me a 6500 word article he's written, detailing Houston's life. With his permission I might well post it on the Covenanters blog (although that's what this blog has turned into anyway!). In Michael Shields' Faithful Contendings Displayed, (printed 1780) on page 280 he writes of Houston "...first his license, then his ordination, which was to the parish of Grastrie, a little before the Restoration..."
In a copy I have of The History of Old Cumnock (printed 1899), on page 175 among mountains of marginalia, "Grastrie" is suggested to have been "Glastry, Presbytery of Ards", which is just between Ballyhalbert and Kircubbin. Houston is known to have spent time in Newtownards, so to be just about 15 miles down the road at Glastry is entirely possible. There's a Presbyterian church there, I think it was built around 1777 - funny enough the current Minister is called Cameron! There's also a Methodist tradition that John and Charles Wesley came to Glastry - there's a Methodist church there too. 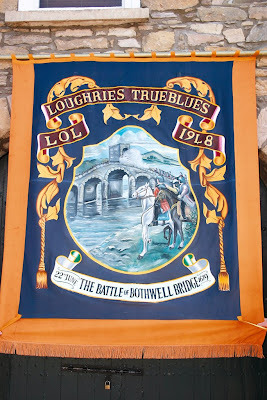 I don't think there are many Orange/Black Covenanter themed banners in Ulster (there are scores of them in Scotland), but I hope that this year's work will identify a wheen mair. The Platypus had lived in eastern Australia since the beginning of time, but it wasn’t until 1797 that European explorers first encountered one. Two years later the first specimen was sent to the British Museum in London, the headquarters of the intellectual élite of the day. The greatest scientific minds of enlightened, educated, pompous Europe viewed the bizarre creature and couldn't understand it - after all what bizarre concoction has four legs, a furry body, beady eyes, a wide beaverlike tail, a duck's bill, and webbed feet? Had the Chinese taxidermists once again tricked them, as they had tried to do before by stitching mummified fish-tails to the bodies of monkeys, and who then sold them for exorbitant prices to gullible sailors as mermaids? One of Britain’s most renowned zoologists, George Shaw, examined the specimen and was so convinced that it was nothing more that an “art of deception” that he tried to remove the duck-like bill. The platypus defied every known classification, so they concluded that because it was so unusual, and of course completely new to them, that it must be a recent invention, a fake. However as time passed, more and more specimens arrived, and more Europeans travelled to witness the platypus in its natural habitat. Those with an open mind acknowledged that it was a real, living creature. But it wasn’t until almost a century later that the platypus was finally, grudgingly, accepted by the scientific establishment as a genuine product of nature. I’m sure most of you see what I’m getting at. Since it was thrust centre-stage following the Belfast Agreement of 1998, Ulster-Scots has been the easy target of choice for the media and the chattering classes – a recent invention and a fake - maligned by people who have never bothered to discover what Ulster-Scots is all about yet who used their positions to criticise, belittle and mock not just a cultural and linguistic tradition, but a significant cross-section of the Ulster population. And it is Ulster, for Ulster-Scots is a nine county heritage which predates the border. But just like the once-scorned platypus, I believe it is now time for Ulster-Scots to shrug off its detractors and take its rightful place in the mainstream of cultural life in Northern Ireland. Another thing that pompous Europeans still love to do is to criticise America. Ten years ago, on my honeymoon, I spent just over two weeks travelling the Blue Ridge and Appalachian mountains from Washington DC to Nashville Tennessee. We had planned our accommodation for some of the trip, but we left some open so we could just follow our noses and do a bit of exploring. Tucked away in the hills of south west Virginia, many miles from the nearest freeway, we stumbled upon a small, privately-financed museum. It was a converted farmstead with a large white wooden farmhouse and some outbuildings - and in one small display room talking with an elderly volunteer guide I learned more about my own heritage that I had ever done at home. It was both an epiphany and a disgrace. The Anglo-Irish history I learned at both primary and grammar school had no Scottish chapter. I had to travel over 3000 miles to learn my own story aged 25. Rural America knew me better than I knew myself. Thankfully today we have direct flights from the USA to Belfast, and thanks to the current Lord Mayor Pat McCarthy, the Belfast/Nashville Sister Cities relationship is being revived. Will the relevant tourism bodies start to deliver product and experiences on the ground for incoming Scotch-Irish tourism – one of Tourism Ireland’s identified target markets? For hundreds of thousands of people in Northern Ireland today, Scotland has an undeniable connection. Only 13 miles separate County Antrim from the Mull of Kintyre; only 18 miles separate Donaghadee and Portpatrick. Yet today we are so land-locked that we view the sea as a barrier. It was not always so – the connections across the North Channel have been ongoing for thousands of years, but most permanently since 1606. 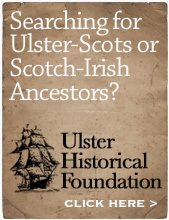 One of the biggest knowledge gaps with Ulster-Scots concerns how the Scots came to be in Ulster to begin with. I was fortunate in that my first year as Chair – 2006 – was the 400th anniversary of what many people believe to be the foundational event in Ulster-Scots history – the Hamilton & Montgomery Settlement of 1606. We had a fantastic experience with the story and I hope you saw the excellent BBC Northern Ireland programme “The Dawn of the Ulster-Scots” presented by Flora Montgomery. The viewing figures were superb, but this is nothing new. BBC2’s “A Nicht o Ulstèr-Scotch” back in 2000 had the third highest audience of the entire year. Working with other organisations like the Environment and Heritage Service, the National Trust, the National Trust for Scotland, Ards Borough Council, North Down Borough Council and Stena Line, 2006 was an exciting year in terms of building credibility and relationships have now begun which I hope will develop over the coming years. This year one of the stories we’re looking at is an earlier event, King Robert the Bruce’s refuge on Rathlin Island in 1307 where he famously encountered the determined spider and returned to Scotland, ultimately to win Scottish independence at the Battle of Bannockburn in 1314. A truly culturally pluralist society values all of its cultural identities, and celebrates them. There are major equality and rights issues which cannot be ignored, and there are issues of mutual respect which must be developed to further our own understanding of ourselves and our neighbours. A shared future surely grows from an understood past. We have found time and again that it is the enormous appetite for Ulster-Scots history which then cultivates a natural interest in language and participation in cultural activity. Just as importantly, there are economic benefits which should not be dismissed. The Scottish Executive estimates the Robert Burns brand to be worth £157m per annum to the Scottish economy. Is an incoming Northern Ireland Assembly going to waste the opportunity of joining with Scotland in 2009 for their major Robert Burns “Year of Homecoming”, and in sharing in some of the cultural benefits and revenues? After all, Scots language poetry was being published in Ulster as early as 1753, 33 years before Burns was in print. Even at that, Burns was first published in Kilmarnock, then Edinburgh – and then Belfast. We have four centuries of Ulster-Scots language and literature which have not yet been presented in an accessible form – this is something I hope the Agency and the soon-to-be-established Ulster-Scots Academy will co-operate on to deliver. Last year the magnificent Field Marshal Montgomery Pipe Band were once again crowned World Champions. The “Worlds” event in Glasgow generates £14m to the Scottish economy each year, with hotel occupancy from Dumfries to Perth. If the opportunity arises, will the relevant organisations step up to the plate and help the Royal Scottish Pipe Band Association to bring this world class event to Northern Ireland in 2010? Aside from all of the high-falutin’ stuff about economics and suchlike, what has Ulster-Scots contributed on the ground? I’ll point any skeptic to one example – the once-paramilitary murals which have been replaced by Ulster-Scots-American murals all over Northern Ireland. Why? Because those local communities recognise the value of their own cultural identity being presented in a positive way, and Ulster-Scots gives them the opportunity to be outward-looking, to see what our ancestors achieved - in particular in the building of America. The kids who are growing up in those estates may not have read Hanna, Ford, Fitzpatrick, Webb or Woodburn’s masterful accounts of the Ulster-Scots story (have you? ), but the change of imagery in the places where they live will have a huge impact on their young lives. George Washington or balaclava-clad gunman – which do you think has the more positive effect? There are some people for whom the closest encounter with rural Ulster is the car park at M&S, people whose upwardly-mobile lifestyle aspirations have caused them to reject their own roots - and in doing so they have cut themselves off from the deep well of their own heritage. To be fair, most people I’ve met in my time with the Ulster-Scots Agency have an open mind, and are open to being persuaded that Ulster-Scots has depth and credibility. But they have no time for nonsense and fluff – and neither do I. Our story is too important to be cheapened, or to allow it to be denigrated. It is undoubtedly the job of the Ulster-Scots Agency, and every other Ulster-Scots organisation, to present our message with authority and in an appealing manner, and to fully engage with the community and voluntary groups Provincewide who cherish their heritage so much. Let’s make sure that the younger generation will grow up in a peaceful society and will also have a sense of their own outward-looking identity, and will be able to confidently share it with others. 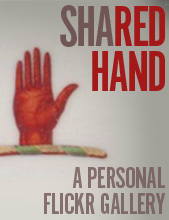 I hope you will assist us on our journey of rediscovering heritage, celebrating culture and living language. There are many world-famous secret recipes – Coca-Cola and Kentucky Fried Chicken are two you’ll already be familiar with. Typically, the Ulster-Scots have one of our own – the recipe for mouthwatering Veda bread! The real recipe is patented, but Veda is an absolute classic, and the unsung hero of Northern Ireland’s breads. Invented by a brewery in Scotland in 1904, Veda is a small, soft, caramel-coloured malty loaf which is only baked in Ulster. Veda tends to be overlooked by the usual gastro-tourism restaurants and eateries, yet it’s so easily available that you’ll be able to get a Veda loaf in most corner shops and small supermarkets across Northern Ireland. Whether eaten sliced with butter, or toasted with butter, cheese or jam, it’s delicious. So during your stay in Northern Ireland, make sure you taste a slice of the perfect Ulster-Scots flavour! As the summer ends, there are three main seasons in the Ulster-Scots traditional folk calendar during Autumn and Winter – Harvest, Hallowe’en and Hogmanay. Also known as “Haleve Nicht”, Hallowe’en is of course celebrated worldwide as a night of ghostly goings-on. Interestingly, the other Irish “quarter days” have never been observed by the Presbyterian communites of Scottish descent in Ulster, but Hallowe’en (All Hallows Eve) gave a degree of Christian justification for the Ulster-Scots to enjoy the festivities. All of the usual traditions apply – bonfires, children visiting houses, rhyming, practical jokes and parties have been enjoyed at Halloween for centuries. Some of the more unusual, lighthearted traditions once included adults putting a small pile of salt on a child’s forehead at bedtime as an attempt to ward off any mischievous fairies! Gates would be removed from their posts and placed on roofs of nearby buildings – this was blamed on the spirits and “broonies” who had come out to play! And of course bonfires were common in every townland, village and town right across Ulster. People would gather around them to sing, to keep warm, or to cook potatoes in the ashes around the edge of the fire. Some even practiced old Scottish traditions of fortune-telling – for example if two nuts were put together into the bonfire and they jumped apart it was time for you to find a new partner! The food traditions are important too – all vegetarian – for example steamed apple puddings, fruit spiced duffs and barmbracks, some of which had coins or rings added to them for the lucky eater! A range of indoor games, like ducking for apples, biting apples suspended on a string - illuminated by candles inside carved turnips or large potatoes (American pumpkins are a very recent Halloween import to Ulster). Even the door-to-door antics of the Hallowe’en rhymers have a centuries-long tradition for Ulster-Scots. And of course, the world-famous bard Robert Burns wrote a poem called “Halloween”. So watch out for the broonies and don’t chip a tooth on the coin in your apple pudding! Is there anyone reading this article who hasn’t heard of Scotland’s National Bard, Robert Burns? I doubt it! But how many of you are aware of his connections with Ulster? Burns was born in Ayrshire in 1759, six years after the publication of “The Ulster Miscellany” one of the first Ulster publications in the Scots language. It had been published in Belfast in 1753 and included nine “Scotch Poems”. So when Burns’ poems were first published in Kilmarnock in 1786, it should be no surprise to learn that the Belfast News Letter was the first newspaper in the British Isles to print extracts of his work. The Edinburgh edition of his poems was published in 1787, and the third printing was – you guessed it – in Belfast, in the same year. History records that a number of Ulster folk, including Samuel Thomson, one of the most renowned Ulster-Scots poets of the era, travelled to Scotland to visit Burns. And there are at least two legends of Burns having visited Ulster - to County Antrim and also to Donaghadee in County Down - but sadly these can’t be confirmed. The love of Burns’ poetry was demonstrated in the establishment of scores of “Burns Clubs” across Ulster; it was also said that every Ulster-Scots home had two books – a Bible and an edition of Burns! Burns’ son travelled to Belfast in August 1844 to attend a supper at the Burns Tavern in the city, and that his daughter, Eliza Burns Everitt, eventually came to live in Belfast – she passed her collection of “Burnsiana” to her own daughter who then in turn gave it to the Linenhall Library. So, why not drop in to one of the hundreds of Burns Suppers you’ll find in hotels, restaurants and pubs across Ulster this January. And as you enjoy your haggis and “wee dram,” remember that Ulster and Scotland have had an “auld acquaintance” for many centuries. It’s an acquaintance which has never been more popular than it is today! This article was one of eight from Northern Ireland contributors which were published in the 2007 Smithsonian Folklife Festival official programme. This page contains a) the original article, and b) the published version, which had been dramatically edited by the Washington DC-based editor! In May 1606, exactly one year before the Jamestown Settlement in Virginia, east Ulster was the location of the first permanent Scottish settlement in Ireland – the Hamilton & Montgomery Settlement. It wasn’t the first contact between Ulster and Scotland, but it was the beginning of a century of large-scale migration, and of a shared heritage that continues to this day. Among the traditions, customs and folk culture which the Scots brought to Ulster was their language. The most easily understood example of the Scots language, which would later develop into Ulster-Scots, is “the language of Robert Burns”, the author of world-famous poems and songs like “Auld Lang Syne”. Yet Scots poems were being published in Ulster before Burns was in print. After the publication of Burns’ first volume in July 1786 extracts were published in the Belfast newspaper The Belfast News Letter. Burns’ second edition was published in the Scottish capital, Edinburgh, in 1787. And the third edition? Not Glasgow, Aberdeen, Dundee or London. It was published in Belfast, Ulster, also in 1787. The late 1700s saw a stream of publications of politically radical Ulster-Scots “Rhyming Weaver” poets. The most famous of these was James Orr, often described as the Burns of Ulster. He was a “United Irishman” in the failed Presbyterian Rebellion of 1798, and he fled to America before eventually returning home to Ballycarry in County Antrim. Through transatlantic emigration, the language was carried to America. In western Pennsylvania, David Bruce’s Poems Chiefly in the Scottish Dialect, Originally Written under the Signature of the Scots-Irishman (1801), and in New Hampshire, Robert Dinsmoor’s Incidental Poems (1828) are the best examples of how the language crossed the Atlantic with emigrant Ulster-Scots communities to the United States. The close relationship among Scots, Ulster-Scots and English means that many people naturally use Ulster-Scots words or expressions every day, even in the US. The 2006 book From Ulster to America – The Scotch-Irish Heritage of American English documents nearly 400 terms which Ulster-Scots has contributed to American English, from “afeard” (frightened) to “young’un” (child). For almost 20 years, Ulster-Scots language has been enjoying a revival. Boosted by the tireless work of the grassroots organisation the Ulster-Scots Language Society, Ulster-Scots was officially recognised in the European Charter for Regional and Minority Languages in 1992, which was endorsed by the UK Government in 2001. This commitment to support the language has brought a fresh impetus. From centuries of marginalisation and scorn, the situation has now turned full circle; there is an ever increasing confidence and pride in the language. Globalisation is often blamed for the demise of regional identity. Yet Ulster-Scots is a regional language with an international impact. A language of the field, the heart and the home which is now officially recognised by the UK Government and the Council of Europe. Ten years ago, on my honeymoon, I visited the Museum of Appalachia in Norris, Tennessee. 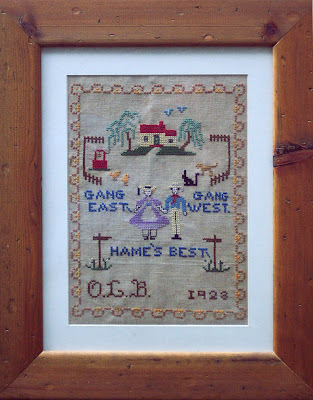 To my amazement I discovered an antique cross-stich sampler there with the message “Gang East, Gang West, Hame’s Best”. (Go East, Go West, Home’s Best). Thanks to the global reach of eBay, I’ve since found two of these for my own home collection, one from a farmstead in rural southern Canada and another from east Texas. The soundtrack of the award-winning 2004 movie Cold Mountain, set in North Carolina, features bluegrass superstar Alison Krauss performing the song My Ain True Love – yet another example of the Scots language and the Scots/Ulster-Scots heritage of Appalachia. And when John Steinbeck used Ulster-Scots words like “scunner” in East of Eden, this is a clear reference to his own Ulster roots (his paternal grandfather was a Samuel Hamilton from County Londonderry). Scotland, Ulster and America – linguistically, historically and culturally, we share a three-way “auld acquaintance” that should never be “forgot”. Maybe we’re just starting the rediscovery. In May 1606, one year before the British established Jamestown in Virginia, the Hamilton and Montgomery Settlement became the first permanent British settlement in Ireland. The Ulster Plantation was not the first contact between Ulster and Scotland, but it marked the beginning of a century of large-scale Protestant migration that lead to a shared Catholic-Protestant heritage in Northern Ireland. Among the many traditions that the Scots brought to Ulster was their language, which shared the same ancient Germanic roots as English but developed independently to become the internationally recognized “language of Robert Burns.” Ulster-Scots, the dialect of Scots spoken in Ulster, was rich in song, stories, and sayings. The late 1700s saw a stream of publications in Ulster-Scots by the Weaver Poets, a school of self-educated textile workers whose politically radical verse appeared in Ulster newspapers. The most famous of these men was James Orr (1770-1816), the Bard of Ballycarry, who is often called “the Robert Burns of Ulster.” This “United Irishman” participated in the failed Rebellion of 1798, fled to the young United States, and eventually returned home to County Antrim. When Ulster-Scots immigrated to America in the eighteenth century, they took their language with them. Publications such as David Bruce’s Poems Chiefly in the Scottish Dialect, Originally Written under the Signature of the Scots-Irishman, which appeared in western Pennsylvania in 1801, and Robert Dinsmoor’s Incidental Poems, published in New Hampshire in 1828, are the best examples of the language from the early days of the United States. Michael Montgomery’s study, From Ulster to America: The Scotch-Irish Heritage of American English, documented nearly 400 Ulster-Scots words in contemporary American English, from afeard (frightened) to young’un (child). Today, Ulster-Scots is enjoying a revival in Northern Ireland. A language of the field, the heart, and the home, Ulster-Scots is a regional tongue with an international impact. Boosted by the tireless work of the Ulster-Scots Language Society, a grassroots organization, Ulster-Scots was officially recognized in 1992 in the European Charter for Regional and Minority Languages. (Its inclusion in the charter was endorsed by the U.K. government in 2001.) After centuries of marginalization and scorn, the situation has now turned full circle: there is an ever-increasing confidence and pride in the language. Linguistically, historically, and culturally, Scotland, Ulster, and the United States share a three-way auld acquaintance that should never be forgot. So the Council of Europe report says that UK authorities should make greater efforts to promote the Ulster-Scots language (see News Letter Friday 16th March). For all of the criticism Europe takes it oftens gets things absolutely right. Like the Waste Water Directive – the legislation about sewage treatment and the threat to fine the government millions of pounds per day until it puts in place proper systems to protect Northern Ireland’s coastline - Europe is absolutely right. UK authorities should indeed be doing more for Ulster-Scots. But do you want them to? For thousands of people today, Ulster-Scots language is a central part of their identity. And as Ulster-Scots takes hold, thousands more are embracing the language and despite decades of scorn are rightfully reclaiming it as their own. But for Ulster-Scots to truly flourish, these thousands of people need to become tens of thousands, and then hundreds of thousands. You can help us get there. Do we value our own heritage? The problem is that some of us in Northern Ireland just don’t value our heritage enough. In fact, we’ve been taught that it’s good to reject it. We flatten our listed buildings and build Spanish-style bungalows in areas of outstanding natural beauty. We cut down ancient trees and woodland in the middle of the night. We all threw out our inherited mahogany antique furniture decades ago and rushed out to buy laminated chipboard substitutes. Heritage out, modern consumerism in. Back in 1992, the Council of Europe and the European Bureau of Lesser Used Languages recognised Ulster-Scots as a regional and minority language. Then in 2001, the UK Government signed up to the European Charter for the Ulster-Scots language in Northern Ireland, and for the Scots language in Scotland. But for all of this official recognition, the bigger question is do you, does the Northern Ireland population, does the Ulster-Scots community truly value the Ulster-Scots language and your linguistic heritage? The days when ivery hame was said tae hae twa books - a copy of the Bible and a copy of Burns - micht be lang gone noo. But hoo mony o’ ye read The Broons? Do you say “Aye” mair often than you say “yes”? When you hear someone say they’re away to get their “head showered” do you know that it’s an Anglicised version of an old Scots expression “heid shired”, with “shired” meaning to let a cloudy liquid settle and become clear? That’s a far more accurate definition than “showered”! And after the weather over the last few weeks, I’m sure a brave wheen of you were foundered. For years the education system, the media and polite society told us that we spoke “bad English”. In fact it was good Scots, good Ulster-Scots. Today, my appreciation of the language I grew up with at hame, that I heard my parents, neighbours and grandparents speak, helps me understand who I am. It gives me a powerful sense of my own identity. Not that long ago one of my aunts dug out her antique original copy of “Sons of the Sod”, a brilliant Ulster-Scots novel set in the late 1800s in Carrowdore in the Ards Peninsula (reprinted in 2006 by Books Ulster – get your copy from www.BooksUlster.com). But why had it been lying in a box in her roofspace for my entire lifetime? Why did nobody read it to me when I was growing up? Why did our schools not explain this huge dimension of our linguistic identity to us? We have been taught to not care about our own heritage. Let’s put things right for this generation and the generations to follow. As the tide turns and people begin to reconnect with their own Ulster-Scots history, heritage and culture, I can see signs of interest in the language gaining momentum. But how much the Ulster-Scots language grows is really up to you. No amount of promotion will sell a wonderful product that people don’t want. My question to you is ‘Dae ye want tae houl on tae yer ain language or no?”. If ye dinnae, that’s up to you. If ye dae, let’s get tae work. When I was a wee lad it was King Billy. I always wanted to see King Billy with his wig and his sword and his big horse. Even though we all knew it was just yer man from down the road dressed up for the day, it was still great. Eating sandwiches out of the big tupperware box from the back of the Morris Minor, tea poured from tartan thermos flasks and a big rug for the grass. My granny was always late – she couldn’t stick seeing the bands twice in the one day, so she stayed at home in the morning, fed the hens and did the work about home, and then battled through the midday traffic and crowds to get to the field to see the bands going home in the afternoon. Along with the Sunday School trip, the 12th was probably the only day of the year my da didn’t do any work - except for Sundays of course. He sometimes worked on Christmas Day, but never on the 12th. When we got home we’d put the kettle on, finish off the warm sandwiches and the melted biscuits, and kick a few hours in trying to twirl our home-made bandsticks in the back garden (tennis ball, bit of a brush shaft and about 6 rolls of red, white and blue insulating tape) until we could all stay up late and see the 12th programmes on tv later that night. That was it when I was wee – that was the sum total of my culture. The 12th Day, and it was brilliant. But when I got older, I discovered that my culture was far more than one day of the year. Far more than one event in 1690. Far more than the story of a Dutchman who became King and won a battle in Ireland. Far more than King Billy on a gable wall. Now don’t get me wrong, I’m not criticising or belittling that element of Ulster culture. But yet there is more, so much more, to our story. For me, and for increasing thousands of people, the “more” is Ulster-Scots – history, culture, language and identity. Ulster-Scots is the story we had all nearly forgotten, the part we’d overlooked when it was right under our noses all along. Ulster-Scots is the bit that tells us who we are and where we came from, where we went to and what we’ve contributed to the world. From King Robert the Bruce on Rathlin in 1307, to the Hamilton & Montgomery Settlement of 1606, right up to the present day with the current World Champion pipe band Field Marshal Montgomery and the forthcoming European Highland Dance Championships in Belfast this April, the Ulster-Scots connection is now taking its rightful place at the heart of cultural life. Now I know that not everyone in Ulster has Scottish ancestry – my wife is English, and there are thousands of people here whose roots go right back to the English planters of the early 1600s and before. And of course there are people who see themselves as Irish (whether geographically, culturally, politically or linguistically – or maybe all four). French Huguenots, Moravians, the Jewish community, Italian immigrants, Asian people and now Eastern Europeans have all come to Ulster and contributed to our way of life. Yet for me, of all of these nations and peoples, Scotland has had the greatest and most long-lasting impact. Who doesn’t feel at home when we visit Scotland? And even though I began this article about my own personal childhood and the 12th of July, I firmly believe that Ulster-Scots, properly presented, has the ability to cross our historical divides. It was today's big news event, and I had an invitation but wasnt able to go. (i was however there last time). The new visitor centre at the Battle of the Boyne site is now open to the public, with its interpretation of the battle and the events that led to the Glorious Revolution. In the midst of the fanfare and symbolic send-off for both men (Ahern retires today, and Paisley in a few weeks' time) here was an interesting subtlety, which I very much doubt that the mainstream media will pick up on. In an excerpt from his speech reported on the BBC website, Paisley said "The killing times must be ended forever and no tolerance must be given to any who advocate their return." The Killing Times was of course the brutally murderous crescendo to the "50 Year Struggle" of the Covenanters, which was brought to an end by the Glorious Revolution of 1688, which was finally secured at the Boyne. So Paisley's use of language - linking the Killing Times of the late 1600s with our own more recent "killing times" of terrorism, was very considered... but it's so subtle as to only register with the informed few, some of whom I know are readers of this blog. However, whilst the Revolution established Presbyterianism as the "state religion" of Scotland, but it didn't acknowledge the Covenants, and led to ongoing divisions within the Presbyterian church. I also got a phonecall tonight from someone who was there. Is his view, the interpretation in the visitor centre has a pro-Jacobite undercurrent. I don't feel particularly inclined to drive down to see the centre for myself any time soon (would rather be in Scotland hoking around monuments to be honest), but would be interested to hear the views of any readers who do go. When Jacob was about 6 (he'll be 10 in July), he and I dreamed up an idea we called the "Lad's Night". It's very simple - every now again, usually about once a month, I'll spontaneously arrive home with a 2 litre bottle of some fizzy stuff (loaded with sugar, artificial colouring and E numbers - Smak Cloudy Lime hits the spot on all 3 counts), a few bags of crisps and usually some Jaffa Cakes, and we spend the night in front of the tv until he conks out. We used to watch DVDs like Shrek, but now (thankfully) he's into football, so tonight our Lad's Night was Rangers v Fiorentina in the UEFA Cup semi-final, which went to penalties. And Rangers won! Anyway, Jacob's nearly 10 and Charlie's 5, so he joined us - Charlie and Jake in their wee Rangers replica shirts, Jake's mate Andy Adair came round too, and we spent the night yelling at the tv and spilling green fizzy drink on the floor in our front room (which is just painted floorboards, so dead easy to clean up). We kept Hilary well out of the way, but Maggie Jane (she was 3 last Saturday) ran in and out pretty regularly to steal crisps and mini Jaffa cakes. The E numbers really did their job - the weans were bouncing off the furniture! So they'll be tired in the morning and probably a bit queezy too, but "Lad's Nights" have now taken on epic proportions in the wee minds of Jake and Charlie, and we've had some really great ones. I hope that when they grow up they'll remember these wee things we did together. Having 3 weans is a real challenge, and privilege, a nightmare and a joy. They grow up too fast - so a "Lad's Night" once a month is something to treasure with them while they're wee. My blog template's gone a bit mad and is playing havoc with some of the graphics. Not sure what Blogger have done, so must try to fix it over the weekend. Am currently recovering from the immense shock - and delight - of Chelsea reaching the Champions League final in Moscow last night, and Rangers reaching the UEFA Cup final in Manchester tonight! Two amazing games! And... there's a thread on one of the Rangers fans forums tonight entitled "The Scots Covenanter Presbyterian Army is on its way to Manchester" - which clearly indicates how the Rangers fans view themselves! Of course, this is a daft trivialisation of what the Covenanters stood for, but it shows that if you scratch the surface even in modern materialistic Scotland, there's an awareness there. Hopefully it can be tapped into and developed.